So you're into hip-hop and rap? 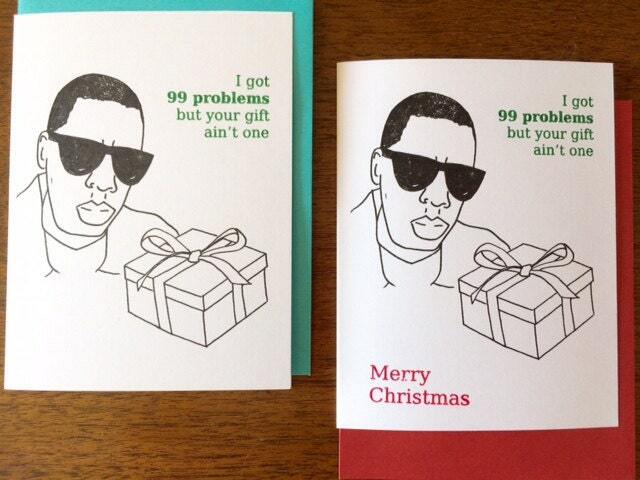 Hova approves. This A2 card will come with a coordinating envelope and in a protective cello sleeve. It is blank on the inside. Hey! 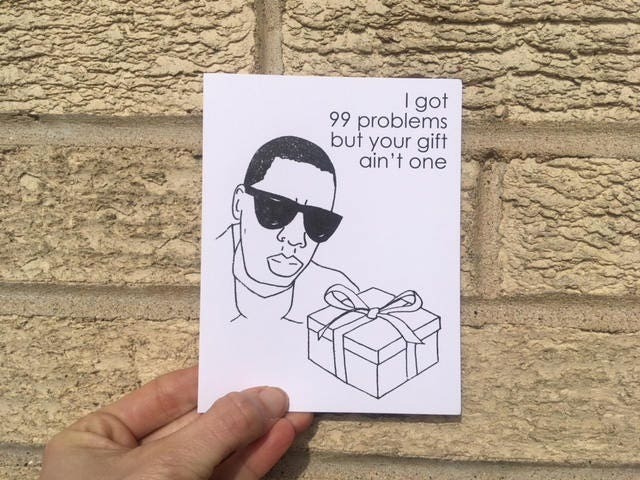 Do you need a CHRISTMAS version of this card? I totally have it available in the shop with "Merry Christmas" written on it! Great card, fast shipping! Had a mix-up with order and Michelle was so kind and fixed it immediately, awesome service. Will be back. Cute card. Fast shipping. Thank you! Awesome card! Fast shipping too! Such a funny card. We love it ! !